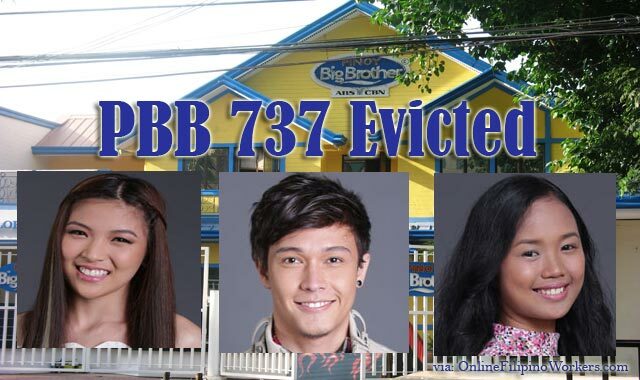 The latest evictee of Pinoy Big Brother 737 were Mikee Agustin Charlhone Petro and Krizia Lusuegro. They are regular housemates which was evicted last September 7. The three were nominated because they weren’t able to win the “LigTask” Challenge. They need to escape from a maze challenge to be safe for the next eviction. But unfortunately, the three evicted housemates were not able to succeed on the said challenge. Because of that, 3 out of 4 members of their group will be evicted from the big brother house. They voted for Roger to stay. The other half of PBB 737 has already declared Ylona Jade Garcia, Hendrix Martin, Franco Rodriguez and Bailey Thomas as the Teen Big 4. There are still no news what will happen next to the other batch of PBB 737. The two other housemates evicted were Philip Lampart together with James Linao. The two regular housemates who exited voluntarily from the Big Brother House were Jessica Marasigan and Jyo Yokohama. The latest edition of Big Brother has brought numerous changes not just to the house but also to the regular process of the reality show. In the previous years, housemates were able to enter together to the Big Brother House, but now, there are unexpected batches who entered the PBB house. Even a baby entered the famous house. Nonetheless, teens were challenged to bring out their true self. Different challenges were also played to test the ability of the housemates. Though some people thinks that everything inside the PBB house is scripted, celebrities such as Enchong Dee who entered the famous house can testify it’s definitely not true. No scripts are followed and Big Brother aims to develop each housemates to their extent. The reality show Big Brother is brought to different countries for many years.